There was a time when the magical initials MGR were a household name in the Tamil-speaking homes of countries with a substantial population of Tamils, including India and Sri Lanka. The initials referred to swashbuckling actor M.G. 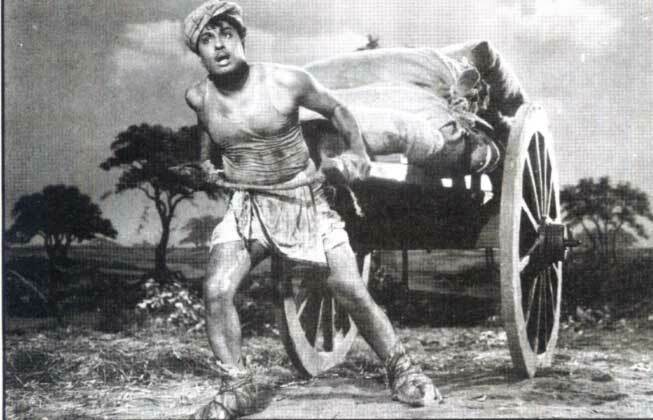 Ramachandran, who starred as an action hero in over 100 Tamil films. 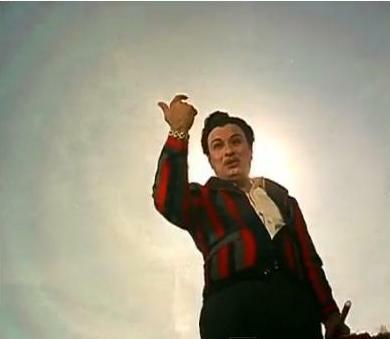 MGR, as he was popularly known, had a huge following of fans in Sri Lanka during the time he sparkled on the silver screen. Among his fans in the island were a large number of Sinhalese and Muslims too. MGR whose full name was Marudur Gopalan Ramachandran had a Sri Lankan connection! He was born in Sri Lanka! 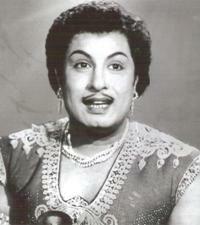 Though MGR was an actor of Malayalee ethnicity who made a name for himself in Tamil Nadu, he was born in Hantane, Kandy. His father, a native of present day Kerala state in India, was at that time teaching in an estate school in Kandy. 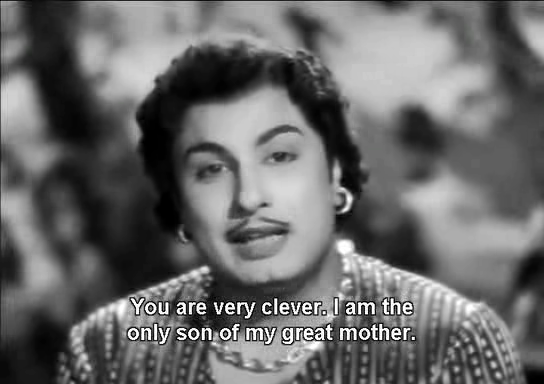 MGR, the youngest child, was born at home in Hantane on 17 January 1917. He grew up in Kandy till he was two. In 1919 the family returned to India. 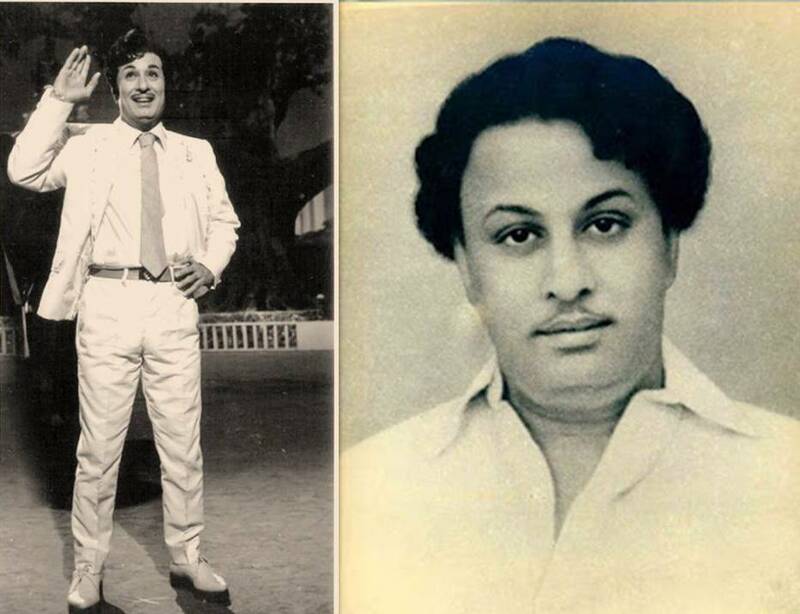 It is indeed remarkable that MGR born in Kandy to Malayalee parents later made a name for himself as an actor in Tamil films and followed it up by becoming the Chief Minister of Tamil Nadu state. 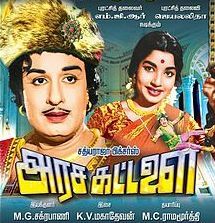 MGR who started acting in minor roles from 1936 got his major break as lead actor in 1947. Thereafter for 30 years till 1977 he was the uncrowned king of Tamil cinema as the biggest box office attraction of them all. He also took to politics and was first elected as a member of the Legislative assembly in 1967. 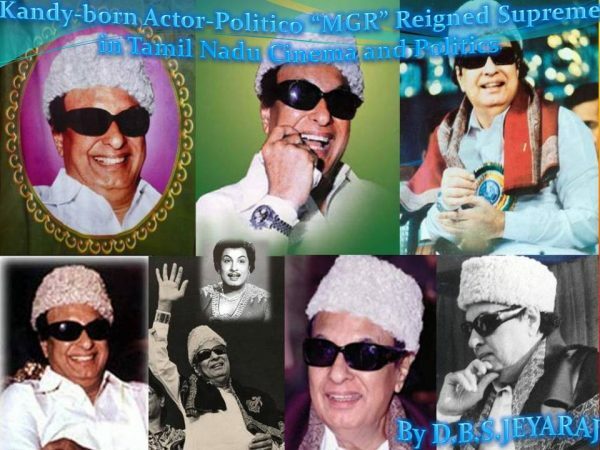 MGR became Chief Minister of Tamil Nadu state in 1977 and remained undefeated till his death in 1987. His life was a rags to riches tale! The family that had been prosperous at one time had later run into difficulties. 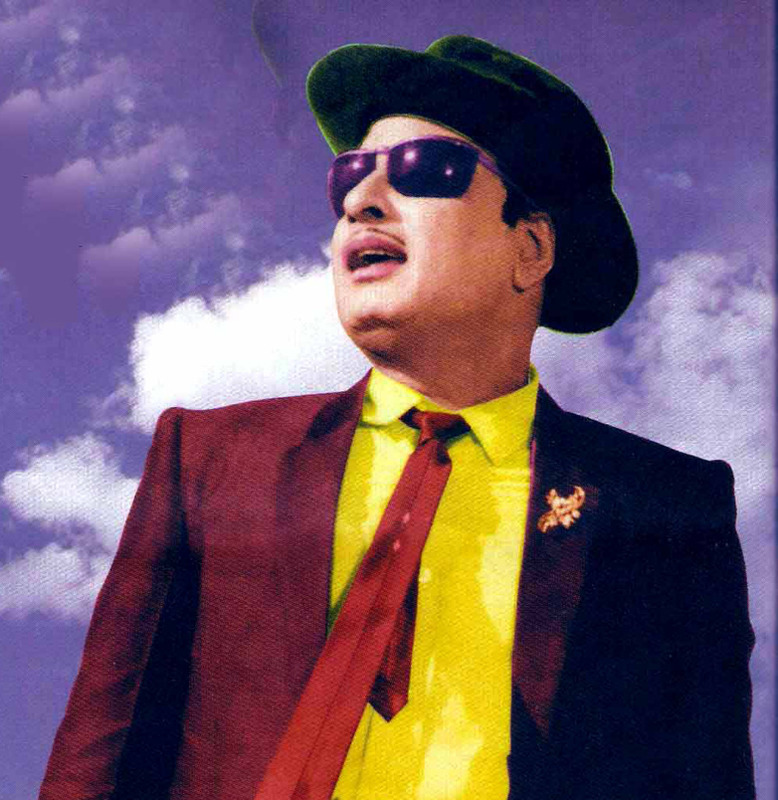 MGR’s father Gopalamenon was a magistrate serving in places like Trichur and Ernakulam. 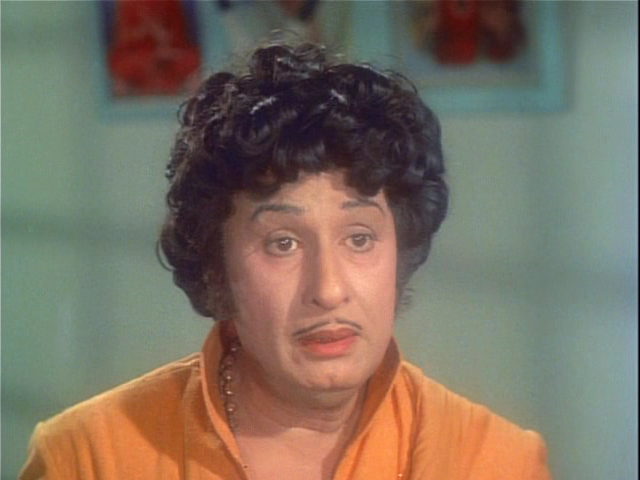 MGR’s mother Sathyabhama was a not-so-well-educated housewife. There were five children in all. Four were born in India. They were two boys named Chakrapani and Balakrishnan and two girls named Kamalaatchi and Subathra. The youngest born in Sri Lanka was given the name Ramachander at birth. M.G. Ramachander later altered his name to Ramachandran. Three of the five children died in their infancy. Only the eldest Chakrapani born in 1911 and the youngest Ramachander survived. Meanwhile the magistrate father fell into trouble over an ethical issue. He was interdicted pending a disciplinary inquiry. A chagrined Gopalamenon resigned and sought fresh employment elsewhere. Sri Lanka during the period of British rule was a powerful magnet for many unemployed or underemployed people of South India. Thus Gopalan or Gopalamenon (Menon is a caste-denoting suffix) obtained a teaching job in the Island and moved to Kandy where Ramachander was born. However Gopalamenon fell ill and in 1919 returned to India with his family. They took up residence in a place called Othappaalam where Gopalan started tutoring children from rich families. 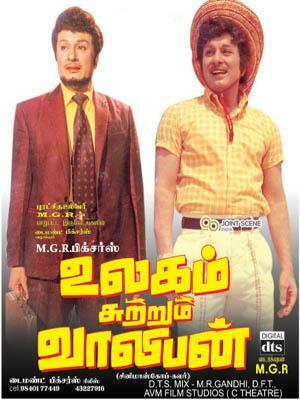 MGR’s career as a film actor proceeded in fits and starts. 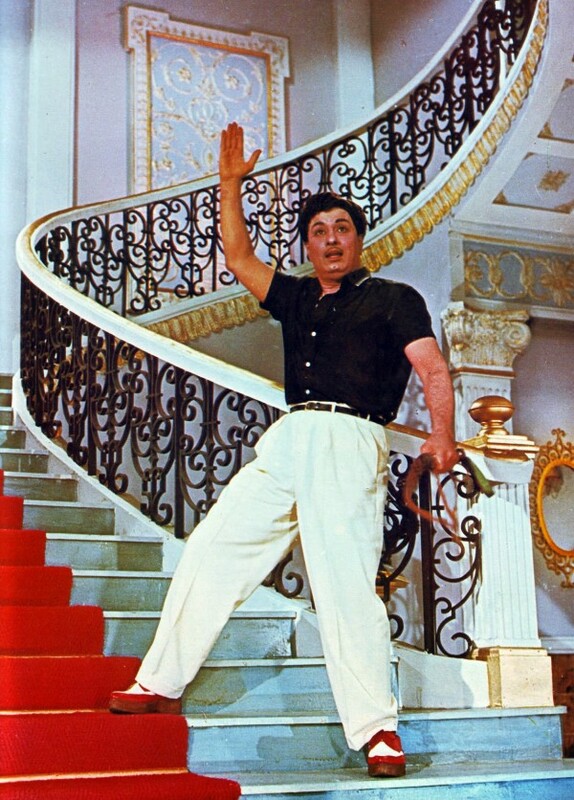 Though he had the necessary looks, physique and martial skills required by an actor, MGR lacked a good singing voice. In those days the main actors had to sing in their own voices on screen. 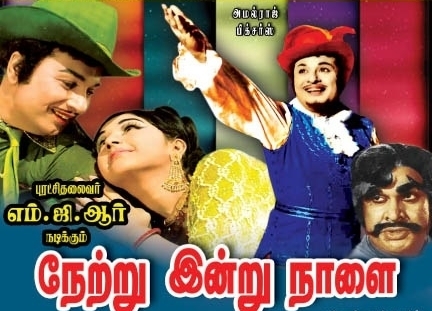 A Tamil film of yore had song sequences numbering double digits. 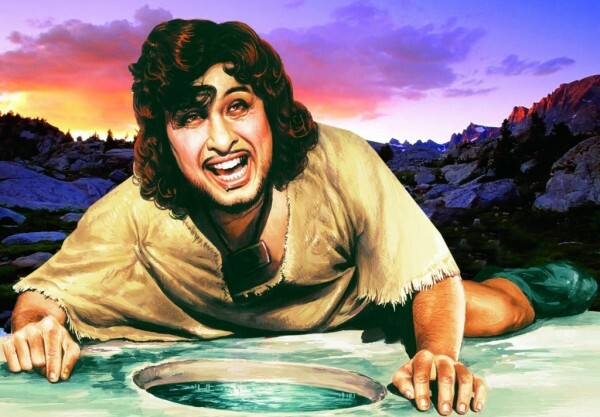 The inability to sing deprived MGR of opportunities to act in lead or meaty roles. He had to be content with minor roles. 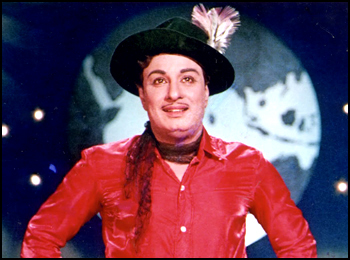 MGR acted in only 20 films during the 1936 to 1947 years. His name was displayed as M.G. Ramachander in the titles then. 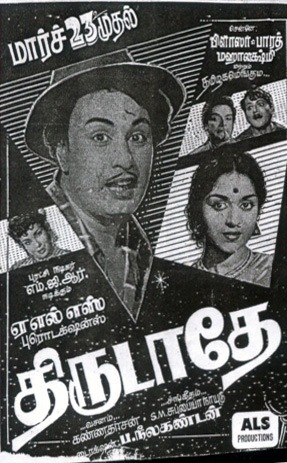 The film song sphere in Tamil moviedom got a fillip in the forties of the last century. Instead of compelling actors to sing in their own voices, filmmakers introduced the art or craft of playback singing. The songs would be sung by reputed singers and recorded. The actors on screen would lip synch accordingly. Thereafter the sound track and film track would be synchronised accordingly via re-recording. This innovation enabled actors lacking singing talent to get good or lead roles in films. 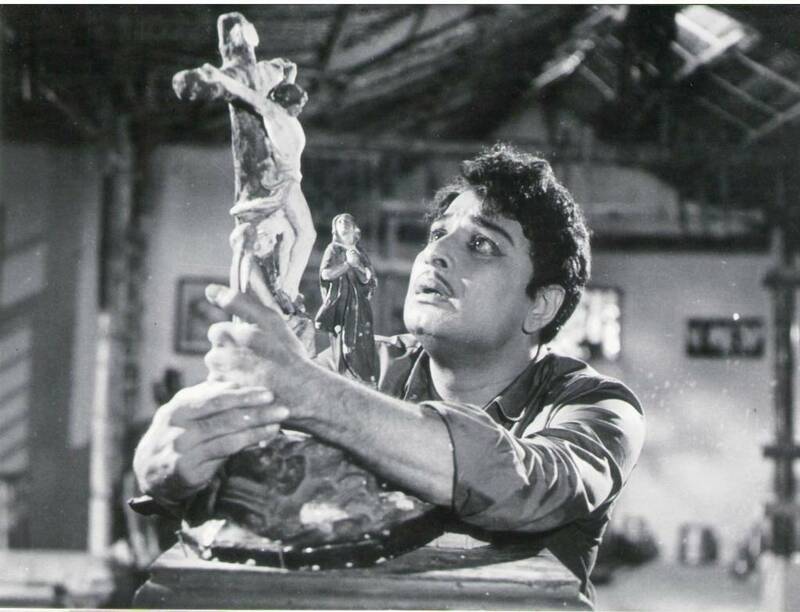 Even as MGR was tasting triumph as an actor, tragedy struck. His mother Sathya passed away in 1950. Thereafter MGR began to treat his mother as a divine being and worshipped her portrait daily. He also named the studio he acquired as Sathya Studios and floated a movie production company called Sathya Movies. His residential estate in Ramaavaram was also called Sathya Thottam. 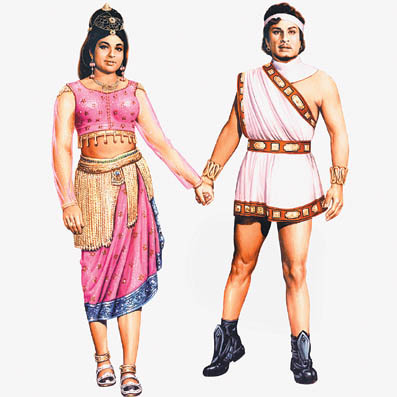 Though MGR and Janaki fell in love they could not get married formally as both were married to other persons. 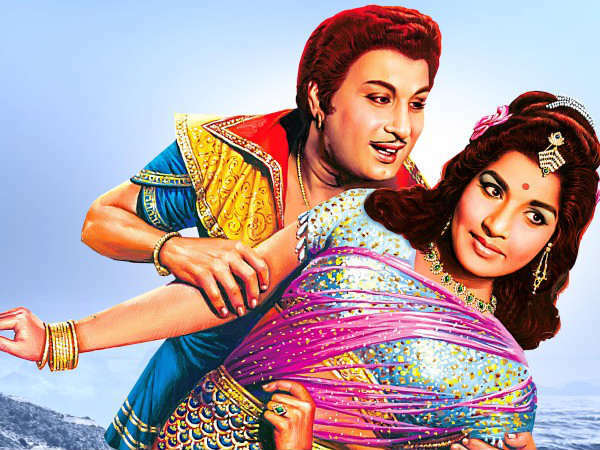 MGR was married to Sathaananthavathi and Janaki to another artiste named Ganapathy Bhatt. Janaki separated from Bhatt and filed for divorce. She obtained a divorce after protracted legal proceedings. She began living together with MGR from 1959 but could not marry him because his wife Sathaanandavathy was alive. 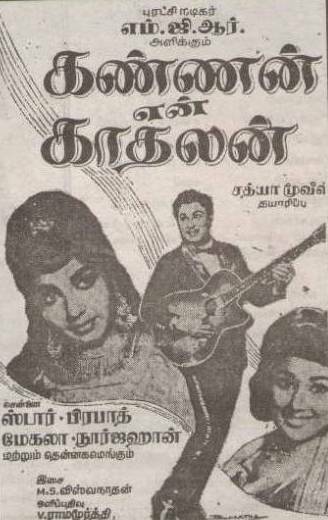 It was only after her death in 1962 that Janaki and MGR got married legally in 1963. Janaki survived MGR and passed away in 1996. 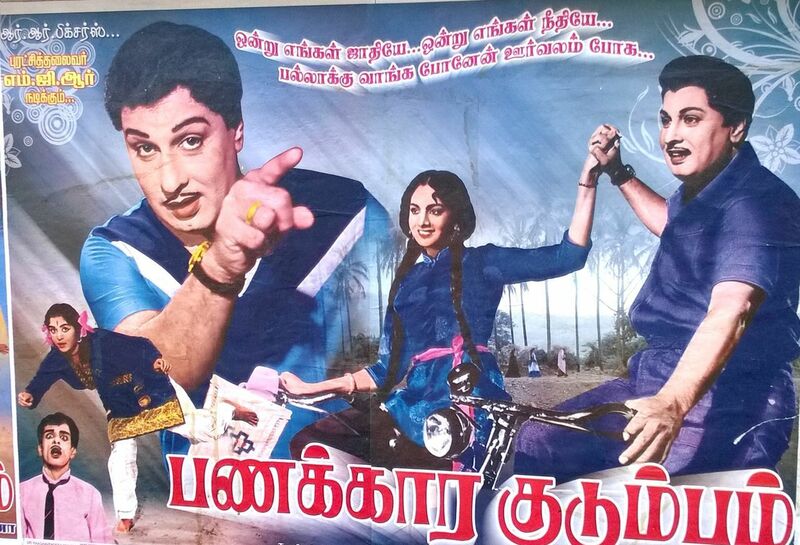 Likewise MGR always had the loveliest actresses as his scintillating heroines on screen. 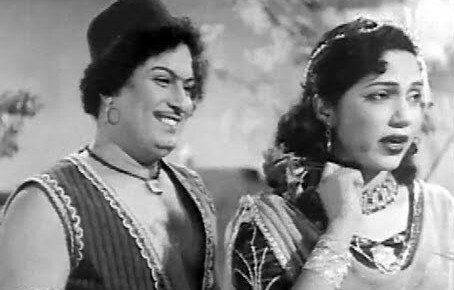 Among actresses MGR paired with apart from Janaki were B.S. Saroja, Madhri Devi, Anjali Devi, Bhanumathy, Padmini, Vyjayanthimala, Saroja Devi, Savithri, Devika, Jamuna, Rajasulochana, K.R. Vijaya, Jayalalithaa, Vanishree, Lakshmi, Manjula, Latha and Radha Salujah. 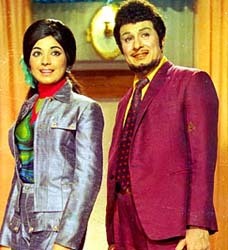 Of these stars, MGR has acted in the most number of films with Jayalalithaa as leading lady. 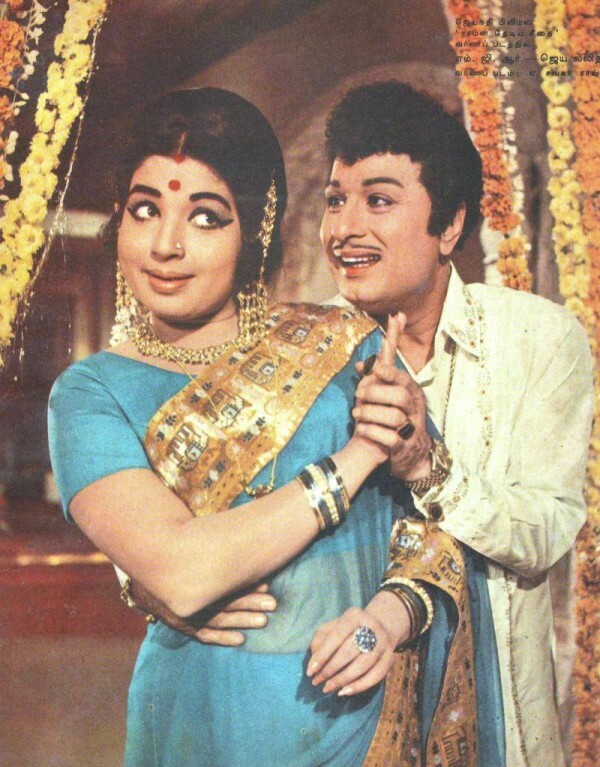 It was well-known that MGR was infatuated with the alluring actress with whom he paired in 28 films. Though unmarried, Jayalalithaa was regarded as the love of MGR’s life. Jayalalithaa’s passport to success in filmdom was her second Tamil film ‘Aayirathil Oruvan’ (One Man in a Thousand) where she played leading lady to MGR. Despite the 32-year difference in age, the duo was a hot pair. Among their other successes were ‘Chandrothayam,’ ‘Muharasi,’ ‘Kavalkaran,’ ‘Thanipiravi,’ ‘Olivilakku,’ ‘Rahasiya Police 115,’ ‘Adimai Penn,’ ‘Maatukkaara Velan,’ ‘Engal Thangam,’ ‘Kumari Kottam,’ etc. MGR’s last film with Jayalalithaa was ‘Pattikkaattu Ponnaiyah’ (Village Rustic Ponnaiyah) made in 1973. Karunanidhi developed a writing style that was flowery and alliterative, and soon became very popular. There were others to follow Karunanidhi in both content and style — Aasaithamby, Krishnaswamy, Maaran and Kannadasan.The DMK also spawned a school of actors who could effectively mouth the lines of the script writers. One of the early greats was the comedian N.S. Krishnan who was followed by a host of “Dravidian School” actors like K.R. Ramaswamy, M.R. Radha, T.V. 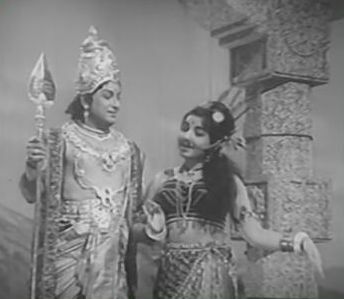 Narayanaswamy, S.S. Rajendran (SSR) and Sivaji Ganesan. The last two in particular were able to deliver the fiery prose of Karunanidhi with great conviction and style. Even as film stars were used for political propaganda, the film stars in turn were using politics for their personal advancement. M.G. Ramachandran himself began constructing and consolidating a personal political base. Even when he starred in films not written by DMK ideologues, the lines he delivered on screen carried hidden political meaning. An example was the constant reference to the morning sun, the DMK symbol. It was not long before MGR was rewarded with political office. MGR was made first an Upper House member of the state legislature. Later he contested the State Assembly elections directly and won continuously in each election from 1967 to 1985 until his death in 1987. The DMK formed the administration in Madras state re-named by the party as Tamil Nadu. 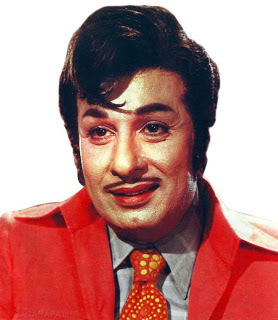 The popularity of MGR within the DMK party and Tamil Nadu state caused major convulsions. 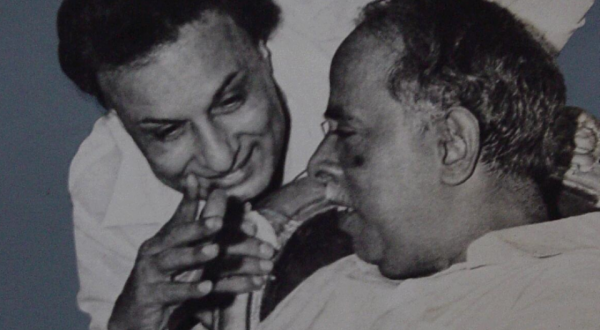 In a bid to counteract the phenomenon, Karunanidhi encouraged his son M.K. Muthu to enter movies. The father, while in office as Chief Minister, wrote the story and dialogue for Muthu’s first film ‘Pillaiyo Pillai’ (Oh, What a Son). Muthu fan clubs were set up overnight, with father Karunanidhi’s backing. 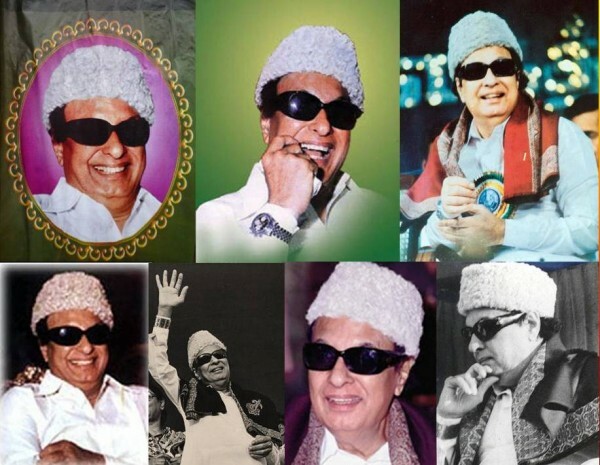 MGR formed the Anna-Dravida Munnetra Kazhagham (ADMK) after splitting from the DMK in 1972. He later amended it to All-India Anna Dravida Munnetra Kazhagham (AIADMK). MGR incurred much mirth among political pundits when he stated that his party ideology was a blend of “capitalism, socialism and communism”. 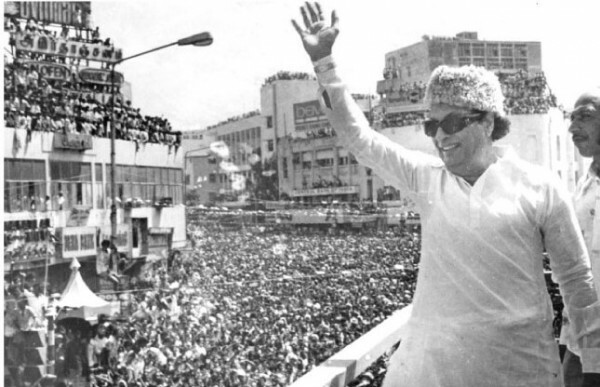 MGR had the last laugh on his detractors when his party romped home as winners in 1977. After MGR’s demise his wife Janaki succeeded him as Chief Minister for a brief spell. MGR’s party fragmented into two with Janaki leading one faction and Jayalalithaa the other. Later Janaki bade adieu to politics and both factions united under MGR’s former leading lady. Jayalalithaa has led MGR’s party to victory in the elections of 1991, 2001 and 2011. She is currently the Chief Minister of Tamil Nadu. Jayalalithaa symbolises the transition from the MGR era to the present. It was MGR who had, as Chief Minister, inducted Jayalalithaa into politics. She is hailed as MGR’s political heir and is now called “Puratchi Thalaivi” – the feminine equivalent of Revolutionary Leader. 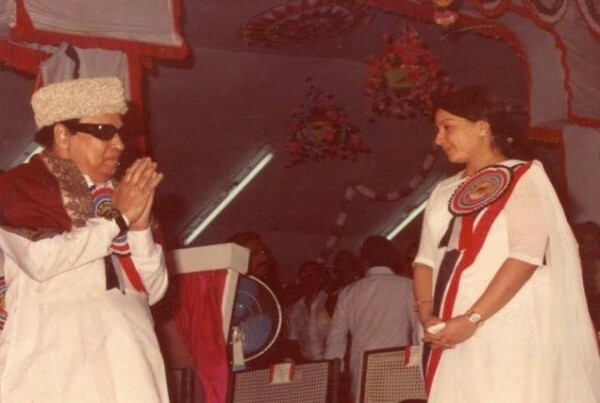 It has been said in lighter vein that MGR was the only Tamil Nadu Chief Minister whose wife as well as paramour succeeded him. 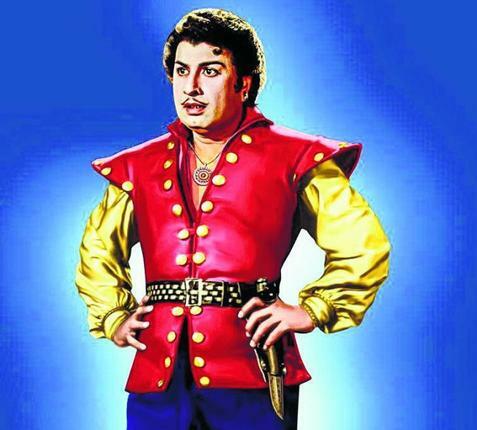 This then is the story of MGR – the Malayalee actor-politico – who reigned supreme in Tamil Nadu for more than 40 years in both cinema and politics. MGR ruled Tamil movies as the most popular and commercially successful matinee idol hero for 30 years. He followed it up as an electorally invincible Chief Minister of Tamil Nadu for 10 consecutive years. The life of the man known as MGR has indeed been an outstanding journey along the highways of cinema and politics in Tamil Nadu. And it all began 99 years ago at Hantane in Kandy on 17 January 1917. « President Sirisena Begins “Operation Number Two ” On Bond Commission Report By Instructing Attorney -General To Proceed With Legal Action Based On Report.